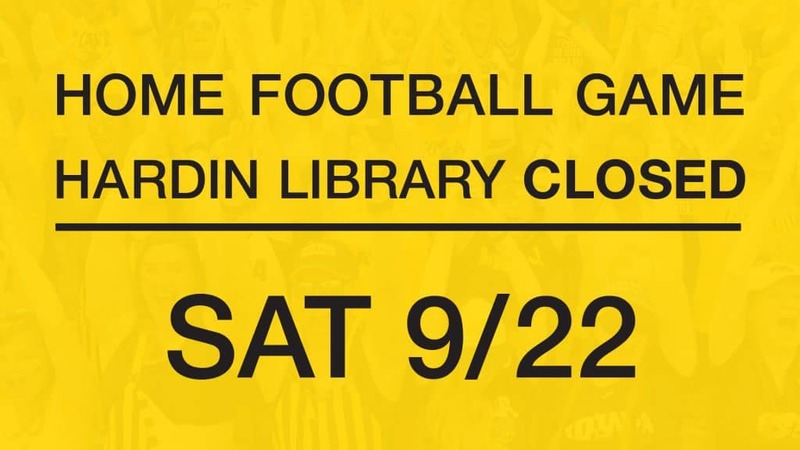 The Hardin Library will be closed on Saturday, September 22 because of the home Iowa vs. Wisconsin football game. 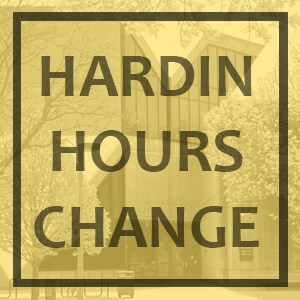 The library will reopen on Sunday, September 23 at Noon. The 24-hour study will be available for anyone with a valid Iowa One Card or UIHC hospital badge.